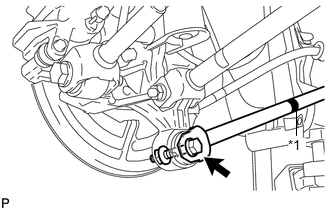 (a) Temporarily install the rear strut rod assembly to the rear axle carrier sub-assembly with the bolt and the nut. Ensure that the identification mark faces the inside of the vehicle. Since a stopper nut is used, temporarily tighten the bolt. 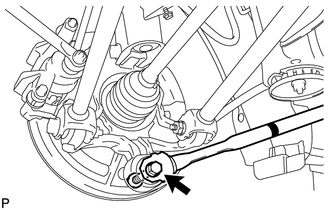 (b) Set the rear strut rod assembly in the tightening position shown in the illustration. 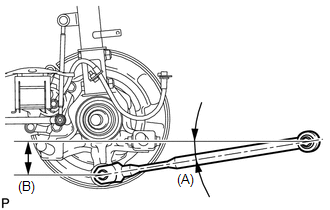 (c) Fully tighten the bolt in the tightening position. 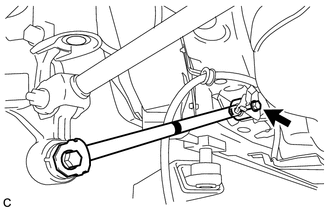 (d) Temporarily install the rear strut rod assembly to the body with the bolt and the nut. (e) Using SST and a socket wrench (17 mm), fully tighten the bolt in the rebound position. 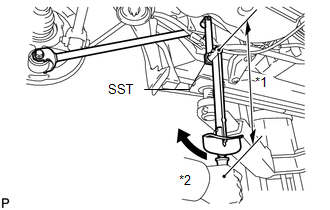 Since the stopper nut is used, fully tighten the bolt. 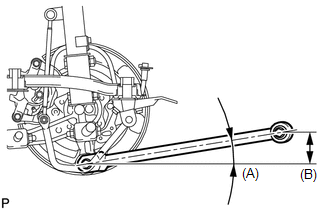 Calculate the torque wrench reading when changing the fulcrum length for the torque wrench (See page ). Since a stopper nut is used, fully tighten the bolt. (a) Install the No. 3 parking brake cable assembly with the bolt. Do not twist the No. 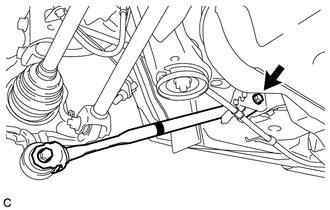 3 parking brake cable assembly when installing it. (a) Lower the vehicle to the ground. 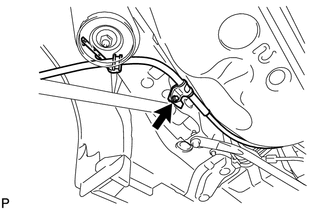 (b) Bounce the vehicle up and down at the corners to stabilize the rear suspension.